[The Blogosphere] is like a stew. If you don’t stir it up every once in a while then a layer of scum floats to the top. Since August I’ve been working on an up to now unblogged WordPress as portfolio project with Colin Madland at Trinity Western University. Let’s dash the “un”. I remember hearing of electronic portfolios from my very get go in instructional technology in the 1990s. I remember getting to know Dr Helen Barrett who even then billed herself as the “grandmother of electronic portfolios” and she was early to the web with that electronicportfolios.org domain– I think we met at a NECC conference (ISTE precursor in 1996). It’s rather telling that we are still after ideal solutions; I admit my bias that the flexibility of a self curated blog site (better yet a self-owned domain) rather than an institution templated system, is the better way to go. So I was interested when Colin approached me in mid July with an ambitious project– his university had committed to a stand alone server (Reclaim Hosting hosted, natch) for a multi-user WordPress site that in September, aka now, would be giving sites to 500+ incoming students, all to be used in a process of foundations classes to start building a TWU portfolio. After seeing it done on the OpenETC site, I suggested getting the NSCloner Pro plugin that provides a hook into the user/site registration process to offer a series of templated sites for new users to choose from. This way, rather than getting a vanilla Hello World site dressed in Twenty Seventeen theme, we could give students a start with a theme designed for portfolio artifacts, and also with some structure/starter content. The problem I quickly stumbled into was that on a multisite WordPress, the TWU students would have to each activate the plugin, meaning the upsell laden path to WordPress.com, and in hindsight, a lot of extra cruft code for un-needed stuff. 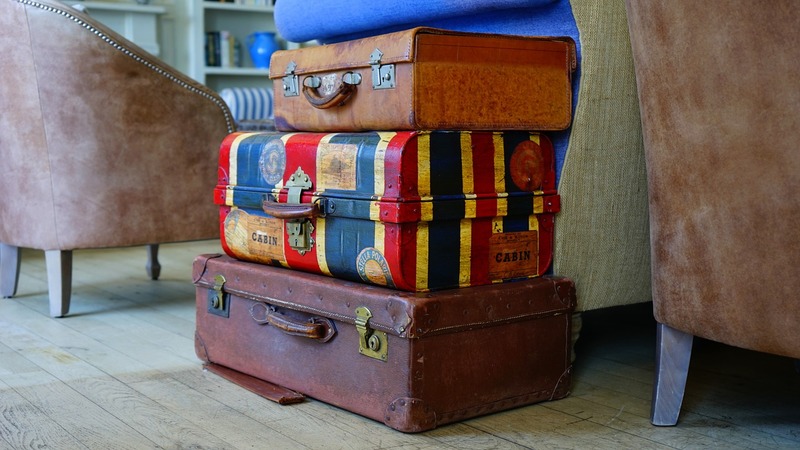 Oh, and for the portfolio custom content types JetPack provided, all items within a Portfolio are called “Projects” which does not match the TWU language of calling them what makes more sense– artifacts. I did find a way to rename them, but I was already recognizing I needed to re-architect my approach. 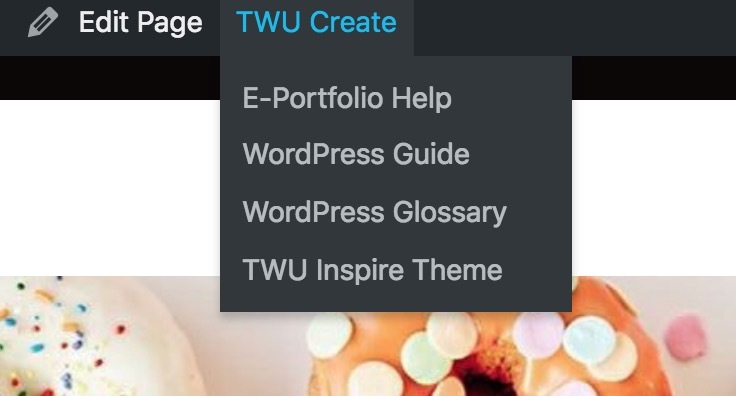 So the sleeves rolled up, and I began crafting a custom TWU Portfolio Helper plugin that creates a twu-portfolio content type, with items called Artifacts, and it’s own category/tag taxonomy. I even got fancy and simplified the top “New” menu on the WordPress adminbar to have just relevant items, and also, putting Artifact first. The other thing we can do to help out Portfolio makers is a pre-made taxonomy, e.g. populate the artifact content types with categories that match the universities Student Learning Outcomes, and other relevant ways of categorizing portfolio content. The plugin also gives three shortcodes that can be used internally to display a count of artifacts, an index view of the portfolio, and one for display of portfolio items. The nice thing about the plugin approach is that a student can start with one of the 3 pre-made template sites, but are not restricted after that from choosing another theme. All of the plugin support, menus, taxonomies, and content go with the site. The starter portfolios are set up with prompts that are aimed at getting the students to edit them. The front page of each using a static Page as the landing, which can be edited to provide a welcome, and a template that displays the most recent artifacts, for example, the TWU Inspire Theme. Each comes with the same starter menu, the first page is one meant for editing, an “About Page”, e.g. from TWU Hearts https://create.twu.ca/portfolio-hearts/about/. Next on the menu, is a top link to the entire set of artifacts (e.g. from TWU Minds). Under this menu is a set of sub menus for all of the taxonomy items, for example, all artifacts one might associate with the first Foundations course. I used the portfolio shortcode I made to list out the entire taxonomy for artifacts as an index, and even got it to display the number artifacts within each, see the Portfolio Contents from TWU Hearts. And there is a place for a blog to exist within a portfolio (rather than the front page) if students are encouraged to reflect on their process. Because each of the parent themes offer some slightly different features for customizing, each of these themes has a support area to explain how to change the menus or use the customizer or add/change widgets. Activating this theme on a new site without starting from a cloned version provides help on setting up. For Colin as manager of the site, I looked for some tools to help him get some stats on the portfolio sites. I like the extra information provided by the Multisite Enhancements plugin, especially that it tells in the themes listing how many sites are using a theme. I am aiming to have a way to download the data as CSV, but am stuck in a code hole, so for now I have it set uo for Colin that it provides all the data in tab delimited format in a text area that he can copy/paste to a spreadsheet. I can see maybe an OPML export if he wanted to run a Feed WordPress syndication of all portfolio sites. But at 338 portfolio created, we are looking great! That’s close to 60% of what we expect (I believe students are required to make sites by next week) And the server is still standing up. There’s more to do here; I am suggesting maybe a fourth theme that I am in the middle of making. 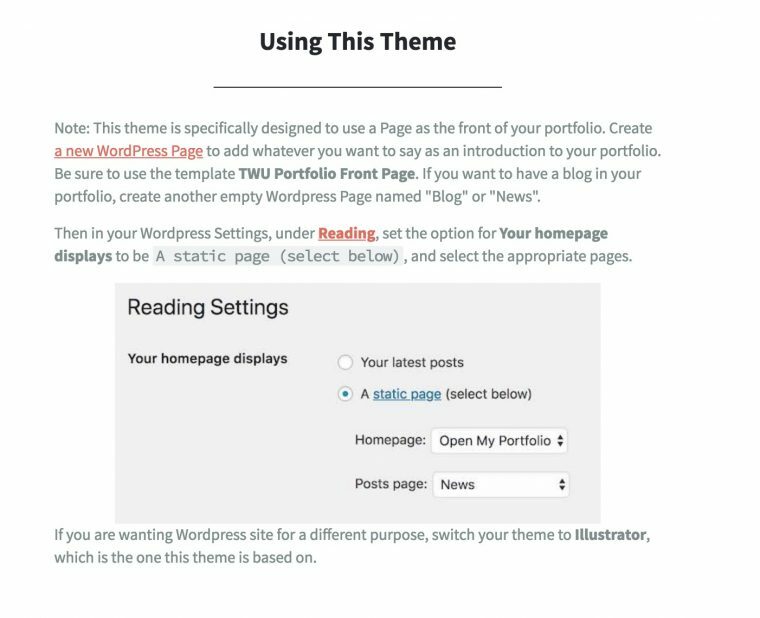 With the artifact display shortcode, the same structure could easily be built in any WordPress theme. It’s been a fast development track, and I appreciate Colin and TWU giving me the opportunity to roll this out. If you’re looking for this kind of approach, I’m looking for new projects. You know where to find me! Your work on portfolios Alan reminds me a bit of Edufolios and the way they baked in the teaching standards to their solution. This dog house is deftly powered by the awesomeness of the One, the Only, WordPress and the typo prone hacking of Alan Levine.